*Additional cost may occur for Diesel engines. Please ask your service advisor. While protecting the fuel efficiency, warranty and resale value of your BMW 3 Series. Treat your sophisticated vehicle to the fresh oil and clean filter that it deserves, visit our new and pre-owned BMW dealership now! 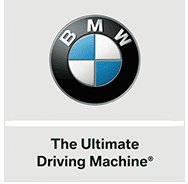 Book an oil and filter change from your Clifton, New Jersey home right now with help from our interactive BMW of Bloomfield website. Our convenient online scheduling form guides you through the booking process, and when you arrive at our dealership for your appointment, the certified technician caring for your luxury sports car will go over a detailed estimate with you before getting started with any work. We'll review the motor oil options that complement the BMW model you drive; don't worry if you own or lease a vehicle from a different brand, our dealership can still assist! Once we've completed the work we can go over the recommended interval time between oil changes and can get you set up with a future appointment so that you never miss a necessary oil and filter change. We look forward to seeing our Montclair, NJ neighbors here at our service center soon!